Denver’s Five Points neighborhood is a hotbed of creativity and construction taking place among powerful sites of heritage. 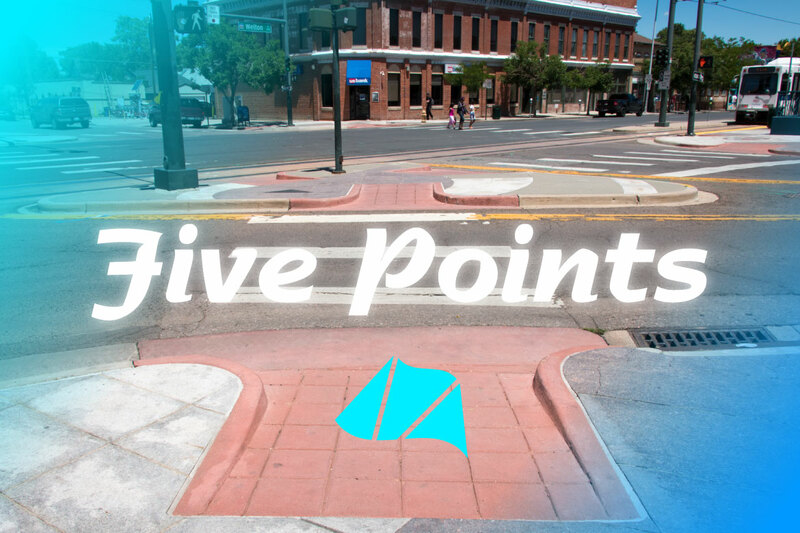 Learn how regular people have helped shape the history, design and current uses of public spaces around Five Points during two New Public Sites walking tours led by public artist Graham Coreil-Allen. The New Public Sites (NPS) tours are free and open to the public as part of RedLine’s 48 Hours of Socially Engaged Art and Conversation summit. The first tour will take place on Wednesday, August 10 from 11am-12:30pm, and focus on sites of heritage and change around Welton Street. Stops will include Lawson Park, Cousins Plaza, speculative/construction sites, and the Five Points intersection itself. 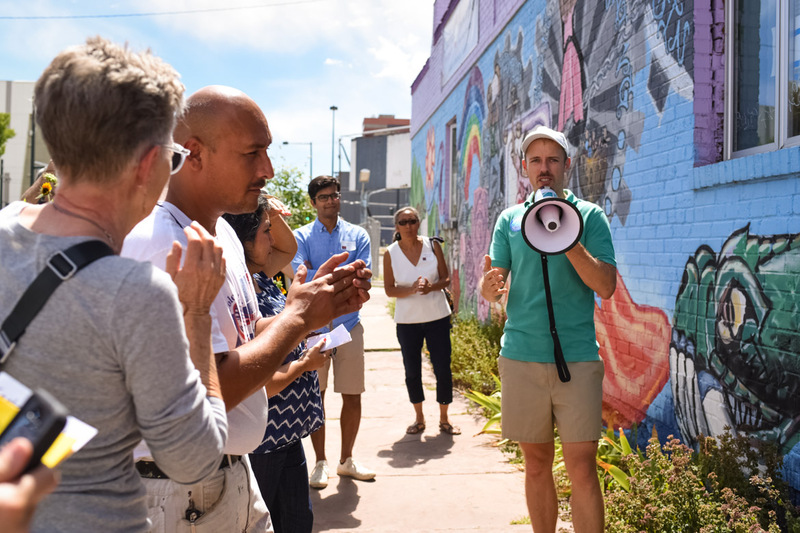 The second tour will take place on Thursday, August 11 from 6-7:30pm, and will investigate the positive and negative impacts of urban planning and development around the RiNo arts district. Sites will include Broadway’s triangular spaces, Sustainability Park, and The Temple. During the tours, Coreil-Allen will recite poetic terms and definitions identifying specific types of public sites and experiences unique to Five Points. Along the way, he will also invite neighborhood experts, such as residents, workers and other stakeholders, to help identify, interpret, and activate their own public spaces. The tours will culminate with participants contributing found objects, wax rubbings and poetic writings to an immersive map installation at RedLine. RedLine is a non-profit contemporary art center in Denver, Colorado. RedLine’s vision is to empower every person to create social change through art. Each year RedLine hosts “48 Hours of Socially Engaged Art & Conversation,” a creative summit addressing socially engaged art through talks, films, performances and participatory art. For more information about RedLine, please visit www.redlineart.org.